This past weekend was one for the record books. Two tennis tournaments, three volunteer shifts, two birthday parties, one play date and a board meeting. Add in a sick kiddo on Sunday evening and you’ve got one tired momma. Can you say #overscheduled? It got me thinking. What happened to the weekends?? When did we shift from long, leisurely Saturdays and Sundays filled with hours on end to whittle away as we please to frantically racing around town with minutes to spare in between activities? It seems like just yesterday the weekends were all about pancake breakfasts, movie dates, solo trips to the mall and quiet walks through the neighborhood. I miss those days. Sigh. 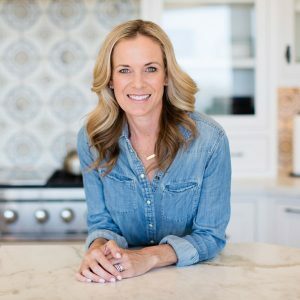 Now that we have two teenage girls in the house and a third on the verge of pre-teendom, our weekends are jam packed full of to-dos that keep us running at lightening speed from one obligation to another. And while all of these activities are important and meaningful and productive, it leaves me wishing for an extra day to somehow be magically smooshed in between Sunday and Monday. All of this chaotic rushing around also makes me the teensiest bit mournful for the days gone by when my girls were little and did not yet require a full time chauffeur (note: if I’m not at my computer, you can find me in my car). One of our favorite traditions on the weekends was to pile up the beach chairs, boogie boards, king sized towels and mis-matched sand toys in the back of the family SUV and then take off for the local mom-and-pop donut shop. The girls, suited up in their polka dot and ruffled bikinis, would chatter happily in the back seat about which type of donut they wanted to try that particular morning. When we pulled up to the beachside bakery, the girls would hop out of their carseats one by one and race to the shop’s entrance. Eager to be the first one in line ahead of their sisters just in case there was only one strawberry pink sprinkle donut left for the lucky first place finisher. I loved the way the girls’ eyes would grow wider and wider with delight as they carefully took in the vast array of sweet goodies on the bakery shelves. Standing on tippy toes to reach the top of the crumb covered counter, they each ordered their own donuts one by one. As the store owner handed them their freshly baked circle of goodness their smiles would light up instantly as they looked quickly to me for approval to dig in. Family beach day rules stated that all donuts were to be consumed on the beach, in the sand, followed by a swig of milk and a dip in the ocean. I know, I know, but it’s tradition. So off we’d go back to the car now made even squishier with bags of donuts and wads of napkins. The beach was just a mile or two from the donut shop we most frequented so there was little time for any high pitched whining that went something like this….”please mommy, can’t I have just one tiny bite now and I’ll save the rest for later, pretty please mommy?”. Toddlers are master negotiators. Once our gobs of beach gear and naked toes were planted firmly in the sand, the donut eating commenced and lasted all of 15.4 seconds before any remnants of donut crumbs were inhaled (with or without some sand along with it). And that was that. All that h a p p y from one little sugar frosted donut tucked away in the memory banks until the next weekend when we’d do it all over again. As my girls grow older and the sweet memories of those sand covered donut days at the beach stretch further and further behind us, I’ve decided that donuts are no longer reserved only for the weekends. Relishing a tender, crumbly, sugar covered donut should not be dictated by which day of the week it is. With our overpacked schedules and divide and conquer strategy, there are fewer and fewer family beach days on the calendar anymore. So I make these Chocolate Buttermilk Donuts with Vanilla Glaze any day of the week, just because. And sprinkles are a must! Double the happy when sprinkles are involved. It warms my heart when my daughters rush into the kitchen at dawn on a random school day to find vanilla glazed donuts topped with sprinkles and a side of milk. Their eyes light up just the same way they did when they were five, holding on tight to their donut with pudgy little frosting covered fingers. Being transported back to that precious time for just a split second is the best feeling, even if it is fleeting. Donuts make people happy and I’m all for that! At any age. 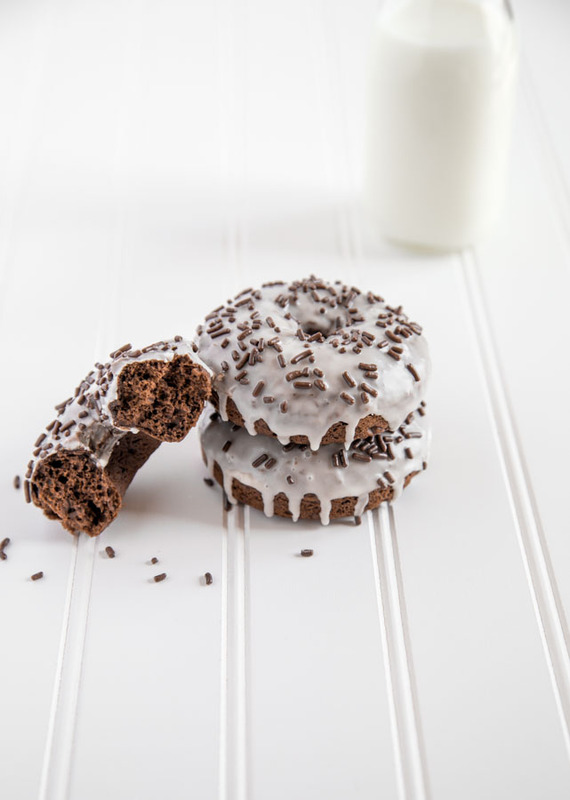 Spread some happy in your household with these easy homemade Chocolate Buttermilk Donuts with Vanilla Glaze. They are embarrassingly simple to make and can double as dessert. 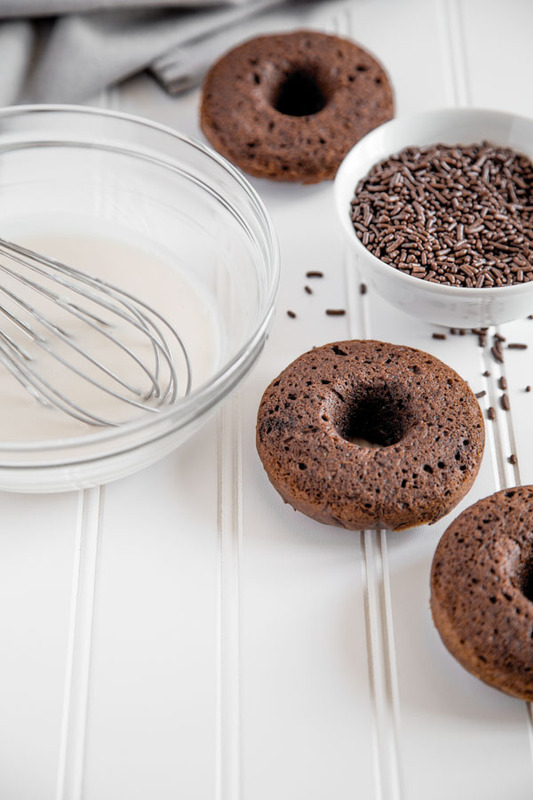 This recipe is for baked donuts made in a donut pan which makes for a more cake-like treat. Good for topping with ice cream (you didn’t hear that from me). 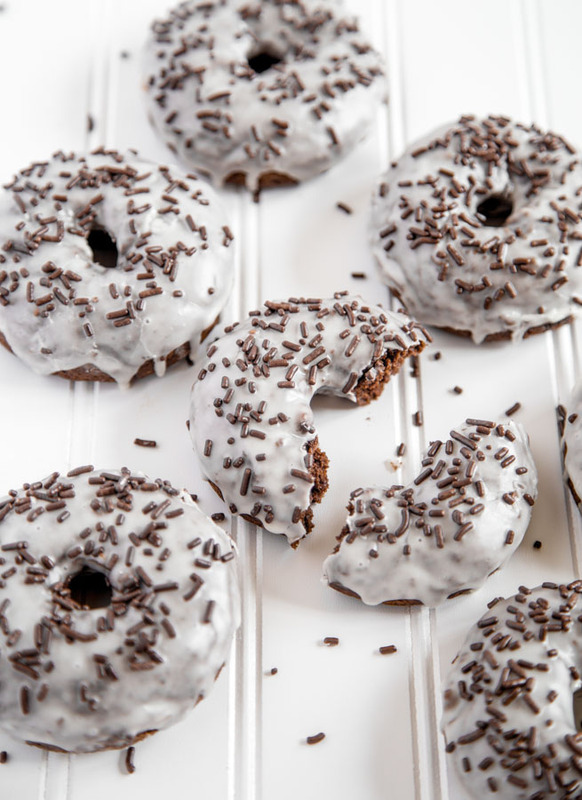 These Chocolate Buttermilk Donuts with Vanilla Glaze are baked rather than fried. Their tender, cake-like texture makes for a delicious morning treat or fun dessert. Homemade donuts are simple to make and baking in a donut pan makes clean up easy.